The fall season draws many a visitor to our parts. People flock to watch the vibrant oranges, reds, and yellows saturate the skyline—and we can’t say we blame them! 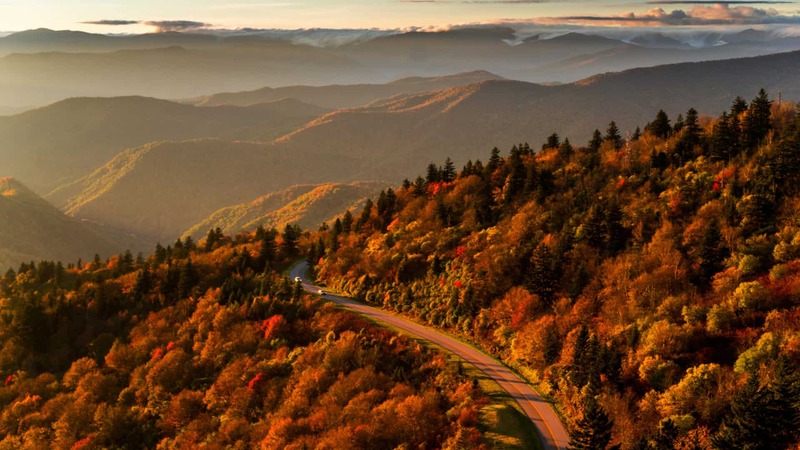 Whether you’re planning an extended stay or a motorcycle ride along the Blue Ridge Parkway, you’ll want to keep reading to learn about how to make the most of your leaf-peeping adventure here. Find the right place to stay. You can try to cram all of the best views into one day, but chances are you’ll want to take your time. Luckily, we’ve got accommodation options for every budget here—all you have to do is find one that suits you. Whether you choose to stay in a fancy cabin with stunning mountain views or a cozy local motel, you’ll still find yourself surrounded by beautiful landscapes and other excited leaf-peepers. Keep an eye out for elk. Aside from the changing leaves, the most popular topics of conversation around here are our famous herd of wild elk. 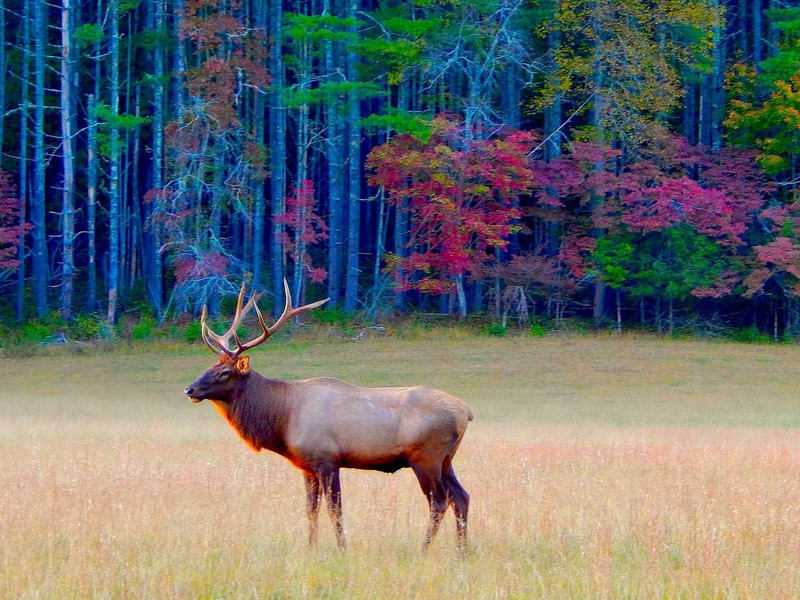 In the fall, elk enter rut, in which the bulls (males) fight to earn the right to breed with the cows (females). When the leaves start to change, the elk are incredibly active and fascinating to watch. Just remember: they’re still wild animals, so, please enjoy watching them roam Cataloochee safely. Catching all these views is a lot of work, so make sure you’re never running on E. Good news is, you’re in NC’s secret foodie capital and are never far from any of our acclaimed eateries. 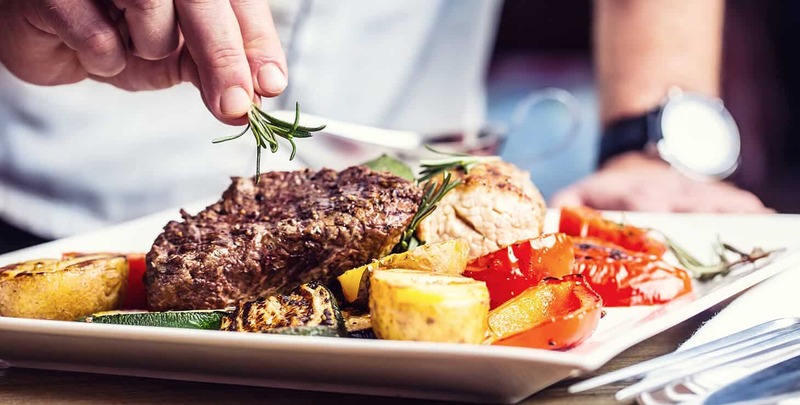 Finding the best places to eat is a trip all its own—so save yourself time ahead of your trip and pick which ones you want to try first. We promise you won’t be disappointed! 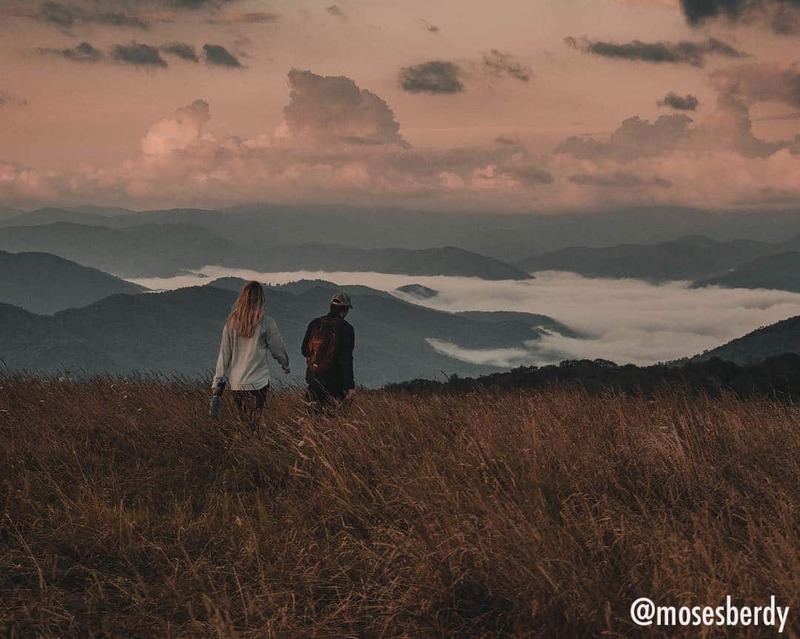 An abundance of hiking trails means you’ll find dozens of picturesque mountain views from all different angles in Haywood County. The trouble is picking which one to take! If you’re looking for a shorter hike, try Purchase Knob in Waynesville. Hikers looking to earn their views should try something like Sam’s Summits Loop in Canton. But before you go, swing by in Waynesville to grab a pre-packed picnic basket to take along. Also happening during fall in the Smokies is the annual Monarch migration. You can spot their orange wings fluttering around all over Haywood County, so keep your eyes peeled! The changing leaves are even prettier when you’re sipping on a cold one. 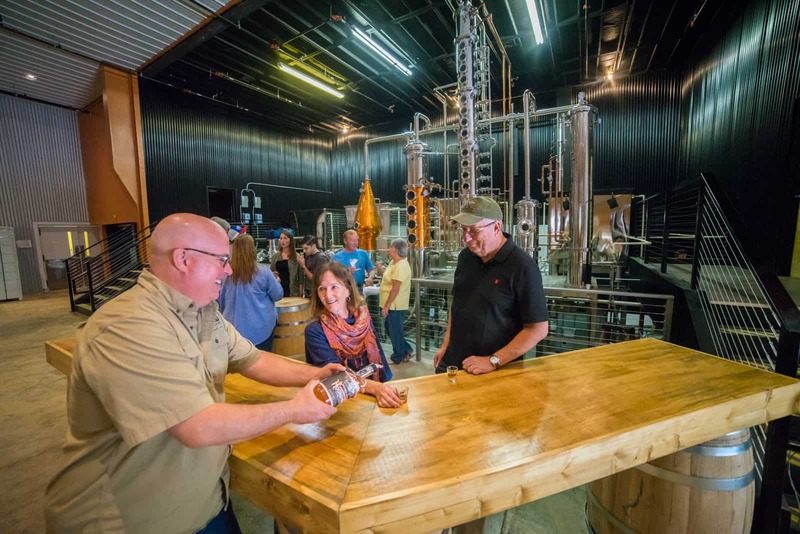 With some of the best wine bars and breweries in the region, you can spend a whole weekend trying different libations. Some of these waterholes also double as music venues, so keep an eye out for any upcoming performances during your stay. By the way: Haywood County is one of few counties in western North Carolina where you can drink, so take advantage! Some of our biggest events happen in the fall, and we want you to be a part of them. 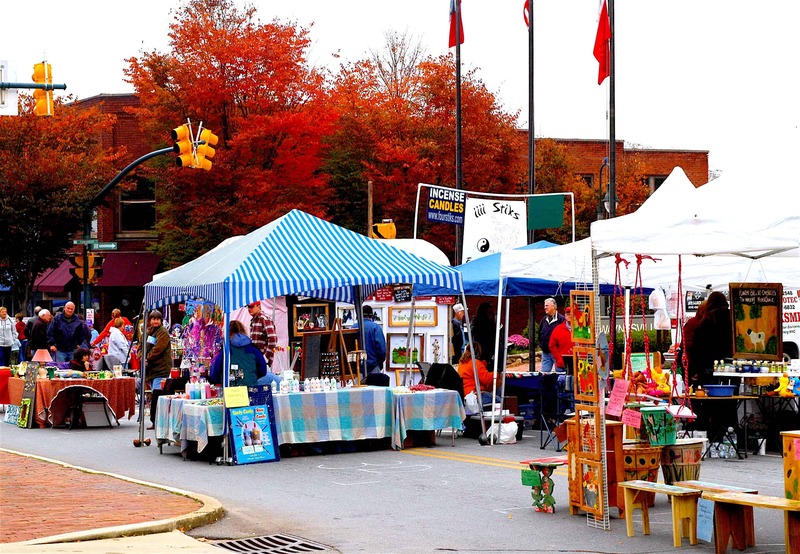 Celebrate the traditional autumn harvest at the Apple Harvest Festival in Waynesville, and find out why we love our crafts shows during the Church Street festival and Maggie Valley craft show. If you’re coming towards the end of the season, mark your calendar for the wildly-popular Art of Music Festival! We know it can be hard to keep up with , so think about signing up for our monthly newsletter to stay in the loop. We hope you come enjoy the beauty of peak leaf color with us! There are a lot of reasons to see us this fall, and we can’t wait to have you. Remember to tag any social media posts with #HayNow!